A practical guidebook to the best winter climbing routes in the Cairngorms, on Creag Meagaidh noted for its classic ice climbs, Lochnagar and Braeriach. Routes include a wide range of grades, lengths and styles, with stunning photographs, topos and route descriptions. Simple to exceptionally difficult routes. 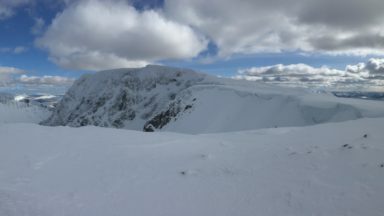 Scottish winter climbing at its best. any time from November until April, and in exceptional years, as early as October or as late as June! Aviemore and Strathspey in the north and Braemar and Deeside for the south and central areas; Creag Meagaidh is accessible Speyside and also from Fort William and the west. a wide range of routes and difficulty from straightforward climbs to some of exceptional difficulty; from single pitches to over 250m in length and from easily accessible to extremely remote but requiring a solid mountaineering background. 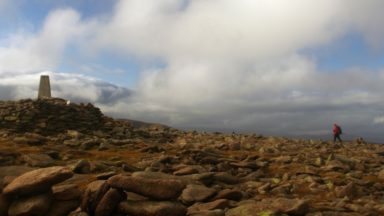 main area covered is the Cairngorms, both north and south, granite peaks with extensive areas of high plateau and four peaks over 4,000 feet in high, offering superb winter climbing in a unique mountain environment. In three separate sections, the northern and southern areas of the Cairngorms National Park as well as the peak of Creag Meagaidh to the west of the main range, this guidebook offers a selection of some of the best winter climbing routes to be found in this beautiful mountain environment in the heart of Scotland. The granite peaks of the Cairngorms have extensive areas of high plateau and four peaks over 4000ft, while Creag Meagaidh is noted for its classic ice climbs. 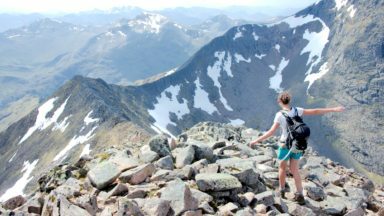 The guide also covers the well-known routes on the magnificent cliffs of Lochnagar and Creag an Dubh Loch, as well as the more remote and serious climbs on the corries of Braeriach and Beinn a'Bhuird. The major climbing venues of the Cairngorms have some of the finest winter routes in Britain. Some are easily accessible, others extremely remote, but the climbing is always superb. From long, varied routes to short, technical tests and a range of pure ice climbs as well as mixed routes to rival any others in the country, the Cairngorms is an exceptional range with something to suit all winter climbers. The climbing areas described in this guide are covered by a range of maps in the Ordnance Survey 1:50,000 Landranger series. The Lochnagar/Creag an Dubh Loch area is covered by Sheet 44, entitled Ballater & Glen Clova; the Cairngorm area is covered by Sheet 36, Grantown & Aviemore. Part of the area is also on Sheet 43, Braemar & Blair Atholl. The OS Explorer maps at 1:25,000 scale also cover the area. Use Sheet 403, Cairngorm & Aviemore, for the Central and Northern Cairngorms; Sheet 404, Braemar, Tomintoul, Glen Avon, for Beinn a Bhuird; and Sheet 388, Lochnagar, Glen Muick & Glen Clova, for Lochnagar, Creag an Dubh Loch and Glen Clova. Maps produce the 1:25,000 Superwalker series maps. Three of these – The Cairngorms, Ben Avon and Lochnagar – cover most of the crags in this guidebook. Harvey also produce a series of 1:40,000 Mountain Maps, of which The Cairngorms and Lochnagar sheet covers most of the area. The ability to use a map and compass correctly is essential for all winter mountaineers and climbers. GPS systems can provide a useful back-up to more traditional map and compass skills, and it is recommended that they are used in this way, rather than as the sole navigational aid. Walking on the bearing obtained from a traditional compass will nearly always be steadier than following that from its satellite-driven GPS cousin. The location of the foot of some routes is given by a bearing from a prominent feature for some crags to aid their location in poor visibility. 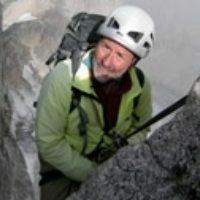 Allen Fyffe has been an active mountaineer for over 35 years. 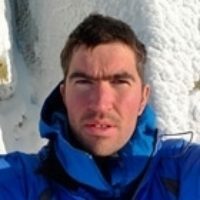 During much of that time he has been an instructor and guide, and is now the Executive Secretary of the Scottish Mountain Leader Training Board. He has been involved in every aspect of mountaineering and climbing in Scotland, and has doe more than 200 new routes in both summer and winter. He has also made numerous inmortant ascents in the Alps and Himalayas, including expeditions to Dhaulaghiri IV, Everest , Meru and Broad Peak. 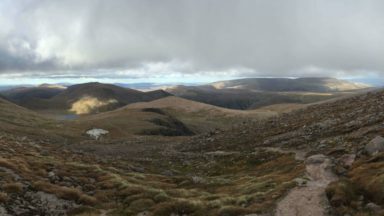 Blair Fyffe grew up close to Aviemore in the shadow of the Northern Cairngorms, and from a young age has taken in interest in walking and climbing in these hills, particularly during the winter months. He has rock climbed extensively throughout Britain and mainland Europe to a high standard (E7 and French 8b). 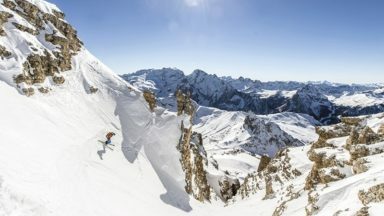 In winter he has made numerous first ascents and early repeats. Out with Britain he has climbed new winter routes in the Lofoten Islands of artic Norway and new alpine routes in the Tien Shan mountains of Krygahstan. He has also climbed in the European Alps and on the big walls of Yosemite Valley. He now works as a forecaster for the Scottish Avalanche information service during the winter months. 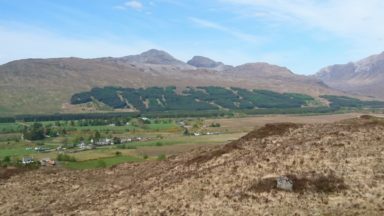 During the summer he has done a variety of jobs, including being a outdoor instructor, a countryside ranger and a research associate for Edinburgh University.